"A fresh, homemade dip recipe that doesn't get any easier! 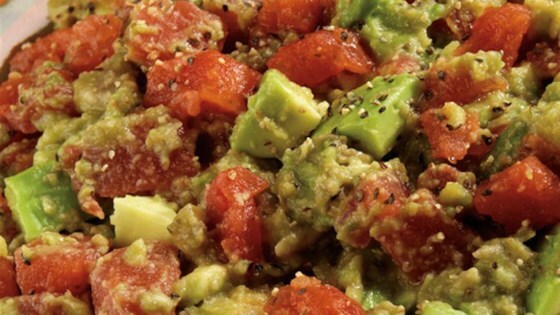 Our Petite Diced Tomatoes with Lime Juice & Cilantro are added to ripe avocados, along with more lime juice and a pinch of salt. That's all it takes for this quick Mexican dip!" In a medium bowl mash the avocados with a fork until chunky. Stir in remaining ingredients until well blended. Serve at room temperature.